COSGB: J. C. & J. 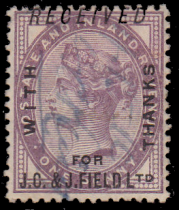 Field Ltd.
J. C. & J. Field Ltd. was a candle and soap manufacturer in Lambeth, south London. The company was one of the oldest in this part of London; it was established c.1642 and continued on the same site for nearly 300 years. Founded by Thomas Field, the firm continued through a descendant, also named Thomas, who was listed in 1768 as a wax-chandler of Lambeth and by 1800 the company was known as John & Charles Field, candle makers from Lambeth Marshes. 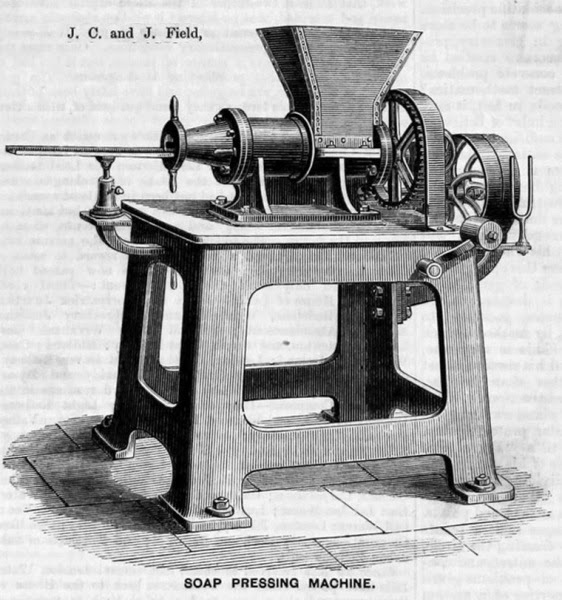 In 1820 another John Field joined the company which became J. C. & J. Field. At this time the firm was producing candles made of spermaceti (the oil from the head cavity of the Sperm Whale). These candles were more expensive than the ordinary tallow candles popular at the time, which were cheap but noxious and sputtered when burned. In the 1840s the company began to manufacture household and laundry soap. In time this became the company's main production as the demand for candles declined due to the popularity of oil and gas lighting. By 1873 J. C. & J. Field was making Ozkerit Candles for export to British Colonies in Asia and Africa. These candles were made with ozkerite, a naturally occurring mineral wax, and had a higher melting point than regular types, making Ozkerit candles extremely popular in tropical climates. In 1887 the firm was incorporated as J.C. & J. Field Ltd. During the early 20th century the firm acquired premises in Rainham, Essex. The company diversified into the manufacture of toiletries and luxury products such as skin and dental creams and talcum powder. In the early 1940s the firm moved to Wimbledon and then onto Amersham, Buckinghamshire. J. C. & J. Field Ltd. was acquired by E. Griffiths Hughes in 1958 and became part of Aspro-Nicholas in 1960.